Grantham North signal box has been gone for more than 40 years. For nearly a century the classic Victorian structure was a distinctive landmark off the end of the Down platform. 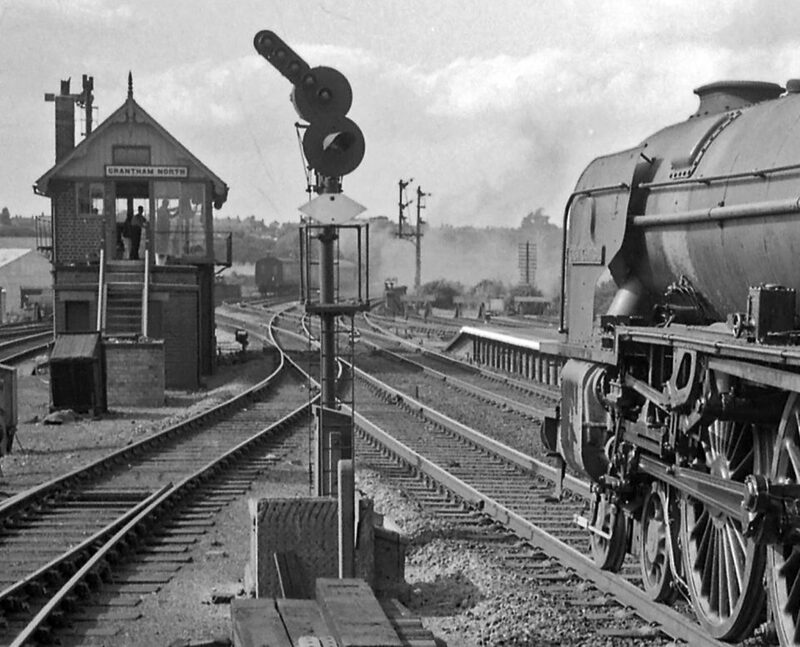 Occupying a strategic location at the junction of the Main line, the Nottingham line and the Goods line, and also controlling the outlet from the busy 'Loco' (engine shed), Grantham North was once one of the busiest boxes in Britain to be in the charge of a single Signalman, assisted by a Telegraph Lad. Its block bells rang and its levers were pulled for the last time in February 1972. Now, thanks to information and images gathered from many sources, we're bringing Grantham North signal box to life once more. We are very grateful for the advice and support of John Pegg, who worked as a Telegraph Lad and Signalman in the Grantham area between 1957 and 2004, and Mick Grummitt, who was Rest Day Relief Telegraph Lad between 1959 and 1962 at Grantham North and Grantham South boxes and also at Crescent Junction, Spital Junction and Westwood Junction boxes at Peterborough. We would like to express our thanks to the individuals and organisations who have supported these pages by supplying images and/or granting permission for their use.